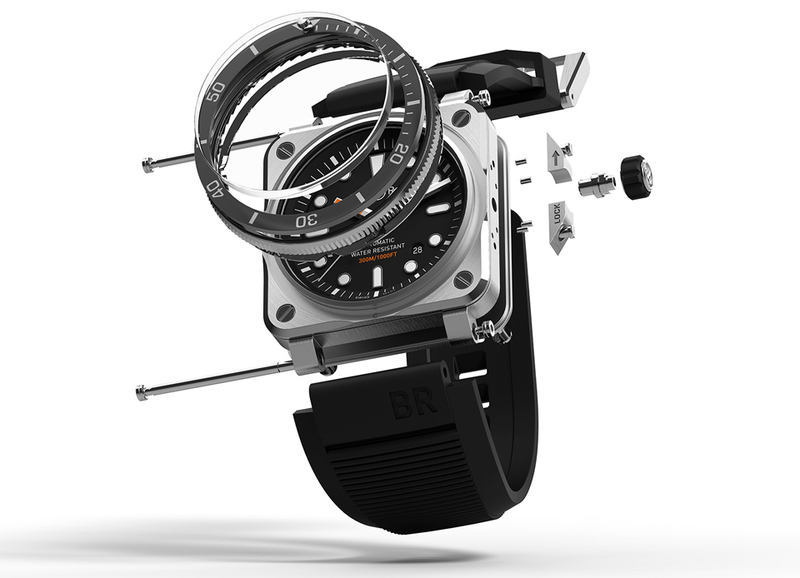 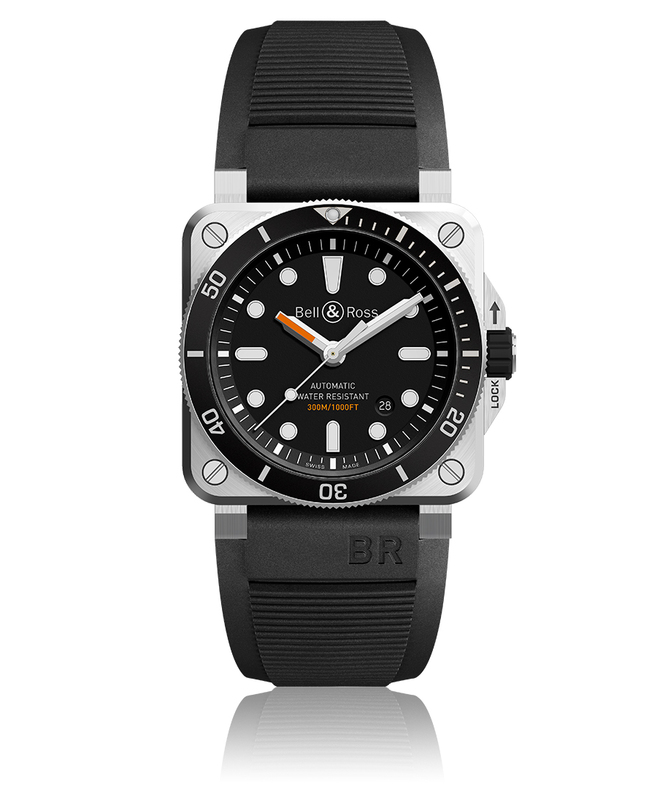 Bell & Ross’ first square diving watch. 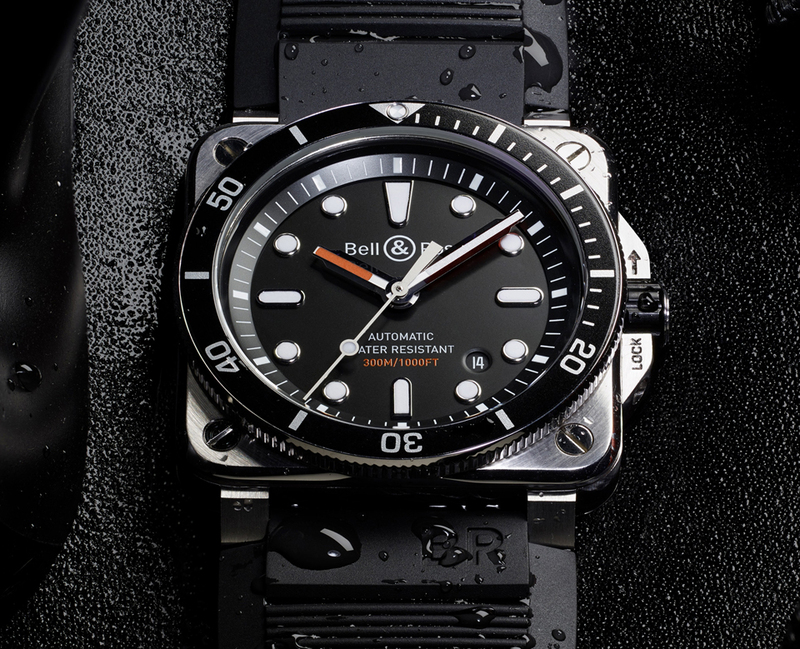 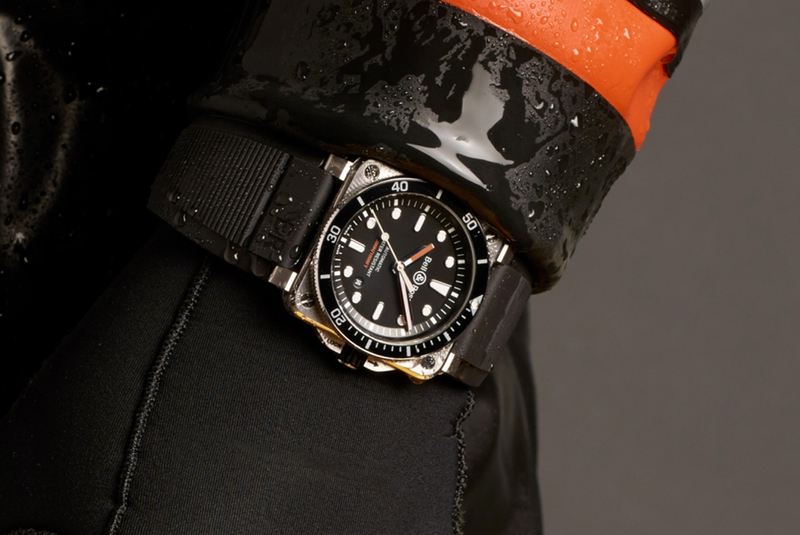 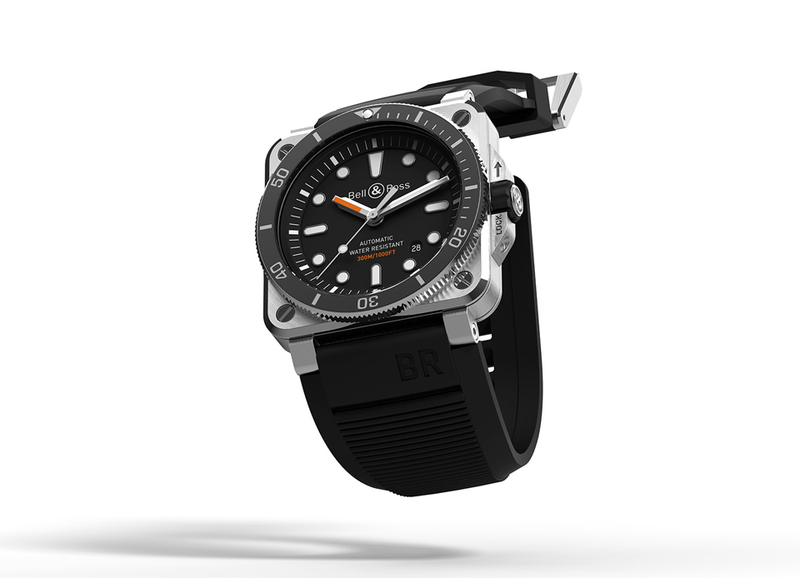 The BR 03-92 Diver is water-resistant up to 1000ft. 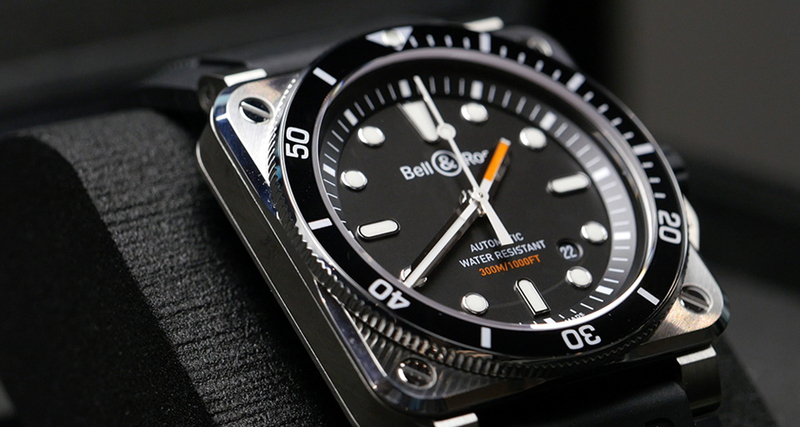 It’s also shock- and magnetic-resistant and has a unidirectional rotating bezel that can be used to time dives. 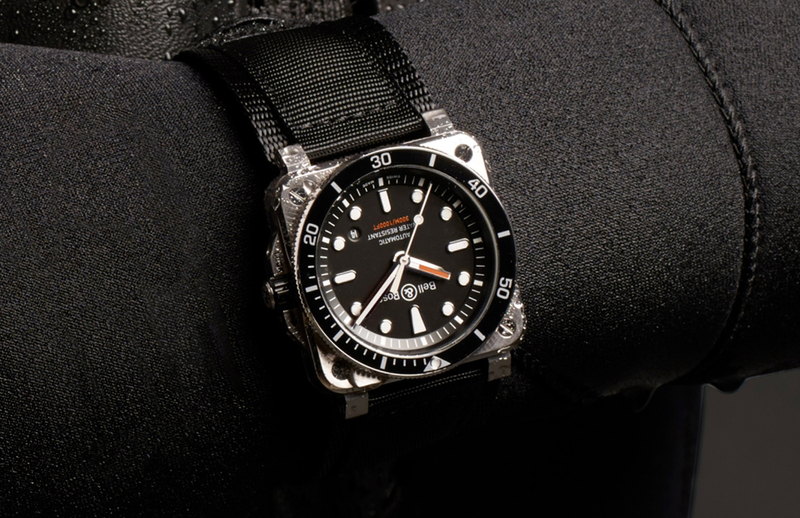 It comes with a rubber strap with a buckle and a fabric strap with a Velcro closure.